My kitchen measurement conversions will certainly come in handy. I use this chart often. 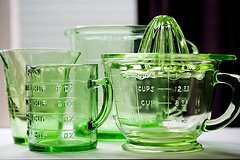 This digital measuring cup is so handy and saves time! 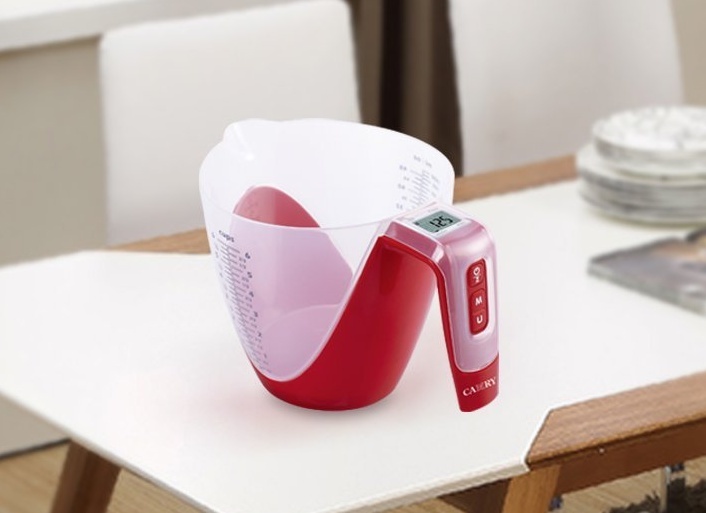 It measures up to 6 cups and it can measure different liquids in the same cup. No dirtying 3 different measuring cups. Take the cup off the base and now it is a scale and can measure up to 11 pounds. Unbelievable. A must-have in every kitchen. Melt the butter and pour it into the milk; stir. Use in place of one cup of heavy cream. This is not a substitute for heavy "whipping" cream. Tip: If you use low-fat milk, add a tablespoon of flour to the mixture to thicken. Have an old recipe you want to use? Here's a handy guide for baking at the appropriate temperature. Speaking of old, you will find in some recipes that they call for No. 2 can peaches. What's that?